Become a Viking and fight for your cause in this excellent quality costume. 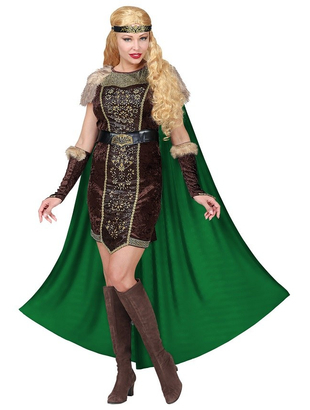 This costume includes a detailed dress with faux fur shoulder cuffs and a long green cape. 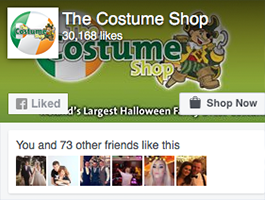 Costume also includes a belt and a pair of arm warmers with a faux fur trim. To complete the Nordic look a headband is also included. Wig and boots may be purchased separately.